Address: Room DE637, Department of Electronic and Information Engineering, The Hong Kong Polytechnic University, Hung Hom, Kowloon, Hong Kong. Daniel, P.K. Lun received his B.Sc.(Hons.) degree with 1st Class Honours from the University of Essex, U.K., and PhD degree from the Hong Kong Polytechnic University (formerly called Hong Kong Polytechnic) in 1988 and 1991, respectively. In 1991, he joined the Hong Kong Polytechnic University as a Research Associate, and is now an Associate Professor of the Department of Electronic and Information Engineering. In his 25 years of service in the University, Dr Lun has assumed a number of important administration duties. He was the Associate Head of the Department in 2002 – 2006, 2009 – 2012, and 2014 – 2016, as well as the Interim Head of the Department from 2013 – 2014 and from July 2016 to now. He is also the leader of the Engineering Doctorate programme and the Double Degree programme of Business Administration and Engineering of the Faculty of Engineering. During his sabbatical leave in 2006, Dr Lun joined the University of Windsor in Canada as the Visiting Scholar and gave several seminars in the University of Windsor as well as the University of Missouri Columbia in USA. Dr Lun is active in research activities. He has published more than 130 international journals and conference papers. His research interest includes wavelets theory, signal and image enhancement, computational imaging and 3D model reconstruction. One of his research projects "A study of the Computer Tomography and the Wavelet Transform" was rate as Excellent by the Hong Kong Research Grants Council. He and his research students have also received three best paper awards in international conferences. Dr Lun is active in professional activities. He was the Chairman of the IEEE Hong Kong Chapter of Signal Processing in 1999-00. 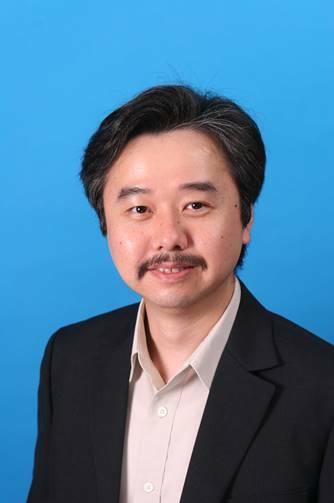 He was the General Chair of 2004 International Symposium on Intelligent Multimedia, Video and Speech Processing (ISIMP 2004), and General Co-Chair of 19th International Conference on Digital Signal Processing (DSP 2014). He was also the Technical Co-Chair of 2015 APSIPA Annual Summit and Conference (APSIPA ASC 2015), and Technical Co-Chair of 2015 IEEE 20th International Conference on Digital Signal Processing (DSP 2015). He was the executive committee members of a number of other conferences including the 2003 IEEE International Conference on Acoustics, Speech and Signal Processing (ICASSP 2003), 2010 IEEE International Conference on Image Processing (ICIP 2010) and 2017 IEEE International Conference on Multimedia and Expo (ICME 2017). He received the Certificate of Merit from the IEEE Signal Processing Society for dedication and leadership in organizing the 2010 IEEE International Conference on Image Processing (ICIP). For his experience in academic program planning and administration, Dr Lun was invited by the Hong Kong Council for Accreditation of Academic & Vocational Qualification to serve as a panel member for the validation of a few local undergraduate programmes since 2005. He was the Editor of HKIE Transactions published by the Hong Kong Institution of Engineers (HKIE) in the area of Electrical Engineering. He was also the leading guest editor of a special issue of EURASIP journal of Advances in Signal Processing. He is currently an Associate Editor of IEEE Signal Processing Letters.